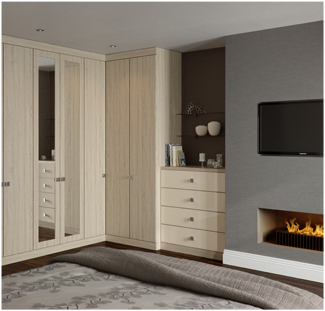 The Genoa Fitted Bedroom Suite from Daval exudes sophistication and quality in equal measure thanks to its exquisite olive green panel style and stainless steel fittings. 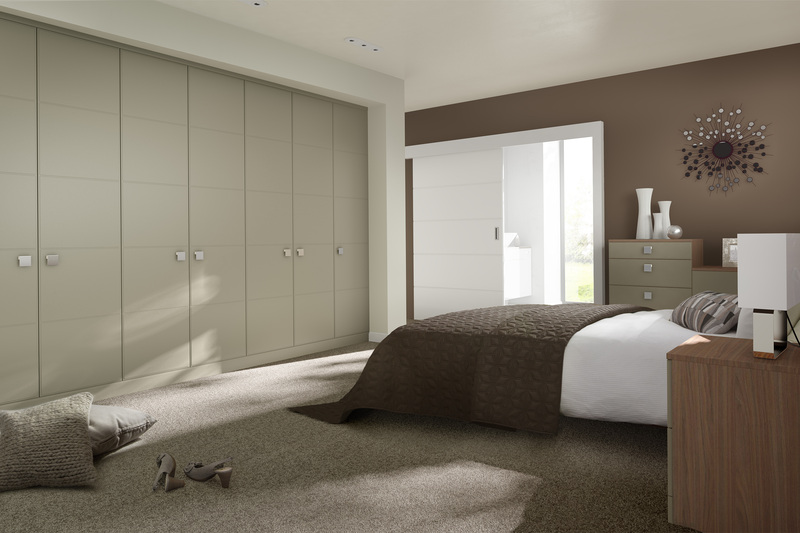 With a design that allows you to make take full advantage of the rooms potential, the Genoa suite gives you the option to have your bedroom exactly the way you want it. 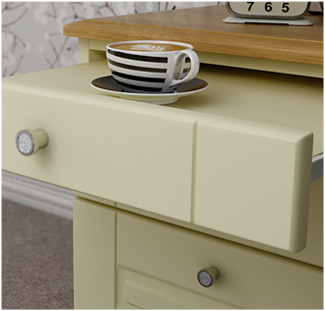 The wardrobe for example has an extensive array of storage choices that allow you to design a storage solution that works for you, and not the other way round. 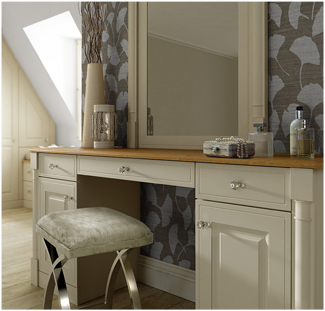 At WOW Interior Design, we can come to your home and measure up the Genoa bedroom you have always wanted, with stunning wardrobes, bedside cabinets and bedroom storage options available. You can have it set out exactly the way you want it, with no compromises. Contact us today for a FREE consultation, no obligation and no pushy sales pitches.